has got to be one of the best bands I have recently discovered in a very long time. They have captivated me from the moment I popped in the cd. Their new album called “Fortress” is a screaming/break down laden/ heavy bass line tribute to what rock really should be. The intricacies of the breakdowns/riffs, are mind blowing compared to the run of the mill bands that seem to be popping out albums faster than ever for their record companies to conform to the commercialism of this world today. I have been frustrated lately with this kind of music, and I must admit, took a chance upon picking up their new cd in fear of it being more of the same. I’ve heard their old stuff on Myspace (http://www.myspace.com/protestthehero) and was immediately drug in to the music upon it hitting my ears. I was kind of worried that it was going to be a few songs heavy and the rest of it laced with boring unoriginal tracks, but upon the first go around was dead wrong. From the way everything was produced to signing and playing their respective instruments, every single member of the band is as clean playing as the next. I just couldn’t believe it, I have simply found a band so great, among the mundane and simple. 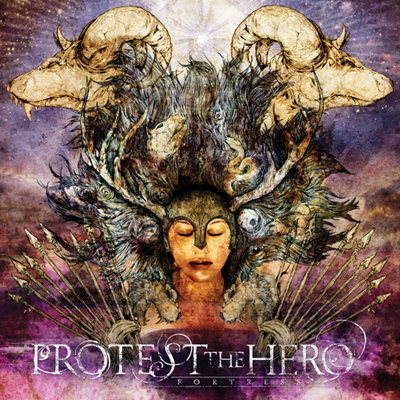 Keep on rocking Protest the Hero. Come to Pittsburgh, and I’ll gladly pay anything to come see you!